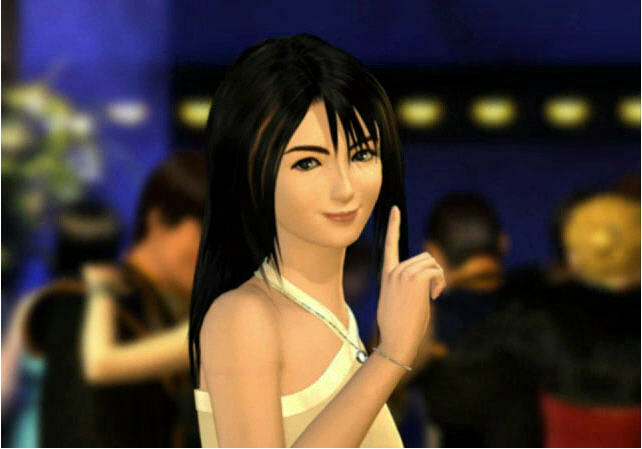 Every fayenatic has heard Faye Wong’s (王菲) “Eyes on Me,” but few are aware that there are actually two versions of the song in Nobuo Uematsu’s award-winning 1999 original soundtrack for Final Fantasy VIII. The one that ‘s best known is from the third of four discs, track 20. The other is from the fourth disc, buried in “Ending Theme,” the second to last track. It doesn’t kick in until nearly the 02:30 mark. It sounds quite different — either a slower remix or a separately recorded second version. I love “Eyes on Me” and can listen to it endlessly, and this other version is no exception. The more I listen to it, the more I like it. In the audio below, I’ve eliminated the instrumentals before and after the song. are we able to download this? Hi, cccwhy. Firefox has a download helper add-on that allows you to download any/all of the songs here. The helper appears as three rotating balls in the toolbar when audio or video is playing. Clicking on the options arrow next to it shows the titles that are available for download. Click on the title, and the download to your computer begins. The mp3 file is saved on your desktop or in a folder of your choice. The same is true for videos. This is the simplest, most efficient way. Maybe others have alternative methods that they’re willing to share.